In 2015, Silverstring Media founded The Silverstring Association for Critical Discourse, a non-profit organization supporting critical writing, and encouraging transgressive perspectives in games, new media, and interactive art. Working with Memory Insufficient founder, editor, and occasional Silverstring collaborator Zoya Street, we set about converting Memory Insufficient from a pdf-based periodical to an innovative website hosting the in-depth examinations Memory Insufficient is known for.  Simply put, Silverstring Media donates $5000 dollars a year for the commission of 10 in-depth features. Beyond that, the association’s members, mainly comprised of Silverstring’s staff and friends, donate pro-bono creative direction, administration, and additional writing and editing. As Silverstring grows, so too will the association for critical discourse. Making critical writing in games more sustainable, encouraging marginalized perspectives and voices, and fostering deeper creative discussion will take sustained effort. Over time, the association wants to expand its efforts beyond critical writing; funding events to connect critically engaged writers and designers, enabling new curation initiatives in games, and more. Silverstring’s ambition is to contribute positively to the culture from the ground-up, building this kind of public service into their roots. We don’t plan to work alone, and welcome your help. By donating funds to the Silverstring Association for Critical Discourse, you can help us to achieve our larger goals. Our writers are paid $300 per piece and the primary editor of a piece gets $200 per piece, but all other work done by our editors, any site maintenance or management, and any work done by other association members or volunteers is donated. The tip jar gives these folks some hard-earned beer money! Every 3 months we empty the tip jar and divide it amongst everyone who contributed during that time. For $500, we will put your logo on the side of the page for one month, and be able to publish one extra article. We’ll also be sure to mention that your sponsorship made that article possible. You can sponsor us for as many months as you like! There is so much more we want to do! Want to push Memory Insufficient to the next level? Contact us to hear all about the next exciting thing we’re ready to do (if we only had the budget). Whatever it is, it will have your branding on it; beyond that, the terms are up for negotiation on a case-by-case basis.Examples include: a 1 month long exhibition of games at an art gallery; the return of the Critical Proximity conference; a new series of video content. Want to sponsor us? Contact us using the form below.